Welcome to Kiteboarding in Palawan, Philippines! It all began for me back in earlier days attaching a makeshift sail to my small green skateboard back in the 70’s. Okay that was fun for a kid. Then in 1986 I put together another sail along with some dagger boards on my canoe. Didn’t work so well. Finally in 1997 I took up windsurfing and got some real action that was long awaited! 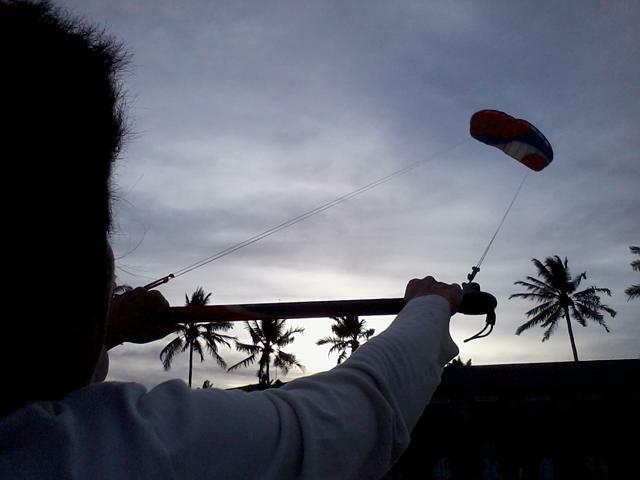 In November 2012, I met Mark the owner of Kite Club Palawan. He showed Grace and me how to use his trainer kite. We flew that for hours many different days for many months. Mark and the others said, hey come on over for some real kiteboarding lessons. We’ll teach you. I was to scared! But I wanted to do it so badly!! Grace was ready to try it out in January 2013. But didn’t. Sorry haha! The next year 2013 and 2014 same thing flew Mark’s trainer kite many times. So fun to me and Grace. Lots of fun actually! What a minor rush that was! I know, crazy, huh? Finally in November 2015, Mark’s partner Monette invited me to take kiteboarding lessons from Mark. I was hesitant, but she knew I wanted to kiteboard pretty bad! She persisted with the invitation. I said okay! I’ll write some more. What a fun day this was watching my friend keep going for a long way! Back in first part of January 2017, there was light wind. I said to myself I wonder if I can figure out how to surf with my kite. I tried for 30-60 minutes trying to get up on my surfboard. Finally I was like just do like a windsurfing water start placing my feet on the board. Yeah I know it sounds easy enough. But it took me about 1 hour of many many trial and error. Finally I got the prize and I was up!! For 2 seconds haha! I was at it for hours this day. This video is I think back in February 2017. So much fun to kitesurf in lightwind! it’s quite a bit harder to do than with a kiteboard…at least for me. This guy is one of the best kiteboarders around! and friendly as heck! really cool guy! 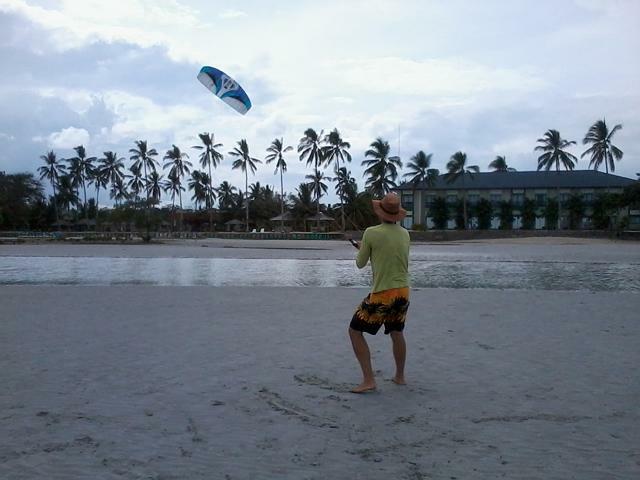 if you are wanting to learn to kiteboard he is your man here in Puerto Princesa at MicroTel Palawan. Tell him Jeff sent you. This is my pay it forward. Because of Mark and Nebs and others here, I can kiteboard and kitesurf. Hats off to these guys! We are based in one of the most beautiful places on earth. Come visit us!Please tell Mark or Nebs that Jeff sent you! Thanks and hope to see you soon!This kiteboarding page is my way of paying it forward. Because of them and a lot of hard work and patience, I’m enjoying the greatest sport ever invented!Kite Club Palawan Kiteboarding Lessons Beginner to Advanced Kites, boards and full gear for you to rent.